The George House was moved to Old City Park in Dallas. It was located near present-day Plano City Hall. They chose paper embroidery ornaments to stay in keeping with the history of the George House. David Colonel “D. C.” George, a Plano hardware store owner, built the house as a wedding present for his bride. 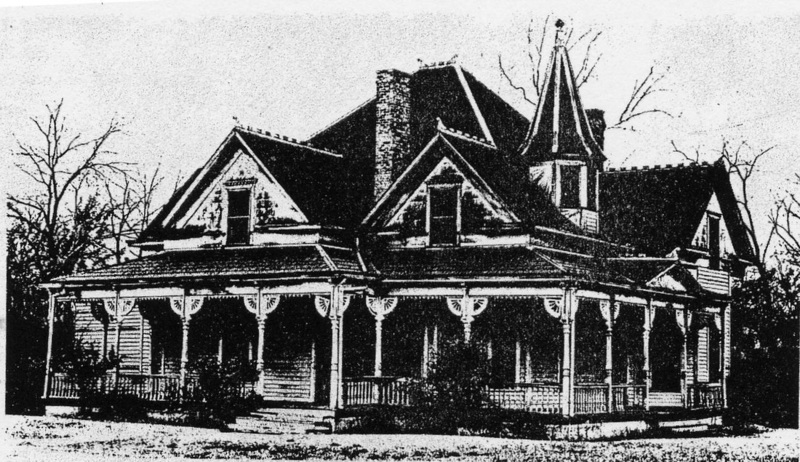 The house remained in the George family until the death of George’s son in 1974, when it was sold to the city of Plano. It was moved to Old City Park after futile efforts to preserve the house at its Plano location. At Old City Park, the house was restored to depict a typical middle class family home in North Central Texas at the turn of the century. At the time it was built, the Queen Anne style was very popular, and many materials, such as its doors and its wooden “gingerbread” porch decorations, could be ordered through catalogs from Sears, Roebuck & Co. or Montgomery Ward.